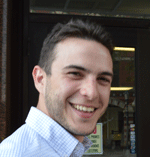 Zachary Romano is a recent graduate from Brandeis University and an aspiring researcher in urban economics and real estate with a focus on the use of quantitative methods and spatial analysis. He is a recent graduate from Brandeis University where he obtained a B.A. in Economics with a minor in Anthropology. Some of Zach's work: Housing and Transportation Demand Analysis: Boston Metropolitan Area Assessing Transportation Capacity and Property Values In and Around the Boston Metropolitan Area At present, he has committed to a one-year term of service as an AmeriCorps VISTA with the Community Prosperity Initiative in Syracuse. Zach Romano devotes his time to cycling, volunteering with civic organizations, and spending time on the water throughout Central New York. 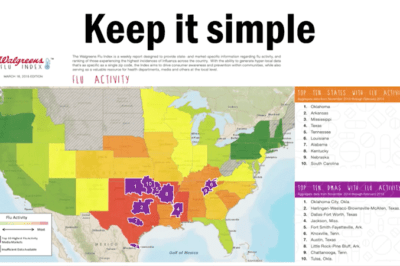 Walgreens uses GIS extensively, but predominantly in site selection, competitor analysis, and mapping demographics. Since January 1, 2000, more than 4.3 million scenes have been captured by Landsat satellites and made available to the public. Graph by Joshua Stevens, using data collected from the U.S. Geological Survey acquisitions archive. 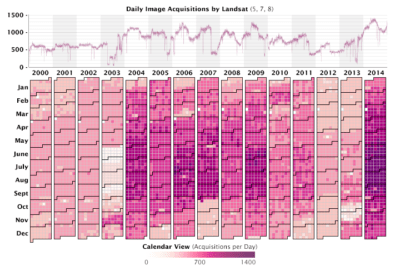 Landsat, NASA’s longest running initiative for the acquisition of Earth imagery, has generated nearly 50 trillion pixels of data by capturing one image per season, of every place on Earth, for the past 43 years, providing a treasure trove of data for researchers. By mapping out the seismic waves generated by human activity, researchers are able to create a map of underground conditions. 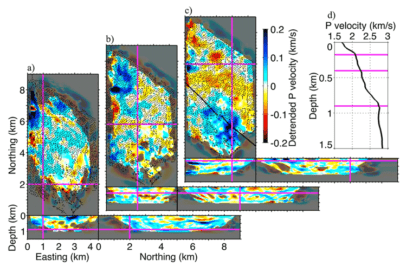 Image: Nakata et al, 2015. Researchers at Stanford University are identifying hidden dangers beneath Earth’s surface in Southern California by measuring body waves from human activity on city streets and sidewalks. Orbital Insight uses shadows detected on satellite imagery to track construction rates in Nanjing, China. 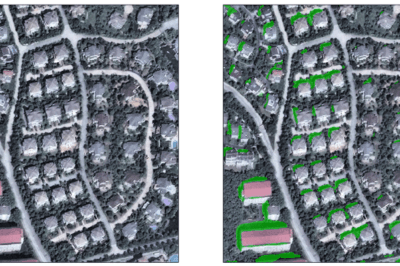 Orbital Insights has developed a “deep learning” processes which uses artificial intelligence to pull data from satellite imagery. 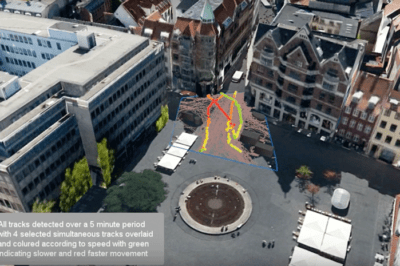 Researchers at the University of Copenhagen utilized a combination of thermal cameras, computer vision technology, and GIS analytics to geo-reference the movements of pedestrians in order to asses public spaces. 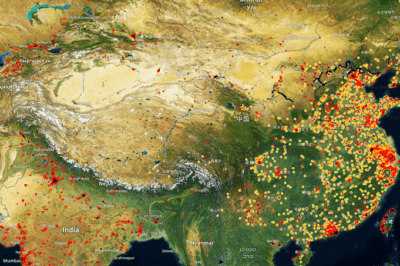 Spaceknow tracks manufacturing activity for over 6,000 industrial facilities in China using its "Satellite Manufacturing Index" (SMI) proprietary algorithms. 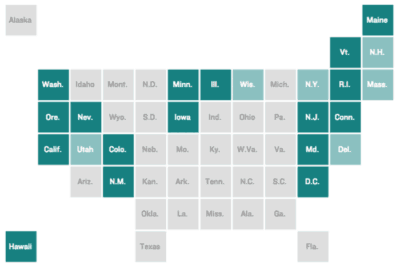 Map: Spaceknow. Data extracted from satellite images have been helpful for tracking everything from the number of customers at retail and restaurant chains to tracking the rates of deforestation. 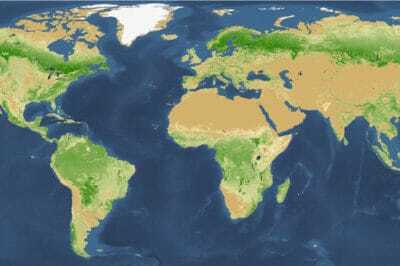 Map of the world's forests. Source: Crowther et al, 2015. Using a combination of satellite imagery, forest inventories, and supercomputer technologies, researchers estimate there are 3.041 trillion trees in the world. A) View of the experimental area in the Forest of Bossou, Guinea. Researchers record the nut-cracking behavior every year, using several video cameras while staying behind a screen of vegetation, c. 20m distance from the wild chimpanzees using tools. B) Female using a stone hammer and anvil to crack open nuts. Note the assortment of stones on the right side which is provided by the researchers, along with the piles of nuts. From enito-Calvo A, Carvalho S, Arroyo A, Matsuzawa T, de la Torre I (2015). 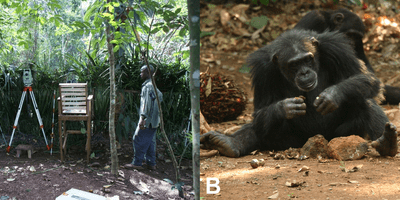 A group of scholars has developed an innovative new application of GIS to understand stone tool use behaviors in chimpanzees during nut-cracking season.